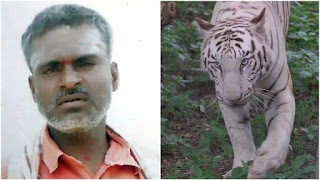 Home news India's Bannerghatta Biological Park Zoo caretaker mauled to death by White Tiger. 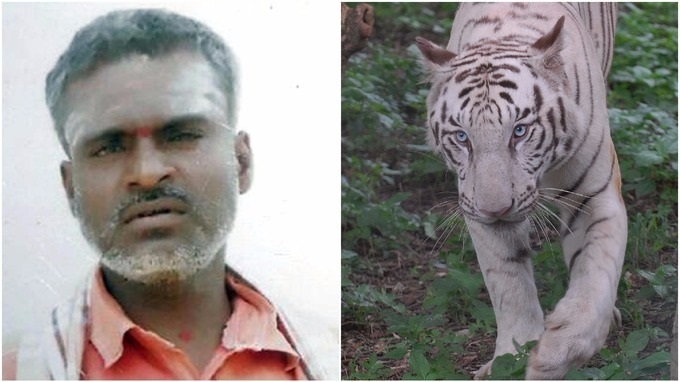 India's Bannerghatta Biological Park Zoo caretaker mauled to death by White Tiger. A zoo caretaker who had been in the job for only a week was mauled to death by a White Tiger as he went into an enclosure to feed them their evening meal. One of the tigers jumped on Anjaneya, also called Anji, before biting his neck and dragging him into the safari area, an official said. The 42-year-old had not realised the tigers were in the safari area of the enclosure at Bannerghatta Biological Park near Bangalore in India, the official added. Nearby forest staff said they heard his cries and ran for help during the incident on Saturday evening, but Anjaneya died on the spot. He was doing the job on a temporary basis, filling in for a senior guard on leave.